Most PC gamers will be aware of the popular website, Humble Bundle. However, not many know about the Humble Treasure Trove Free games. The Trove offers many games for free. But there is usually a catch. 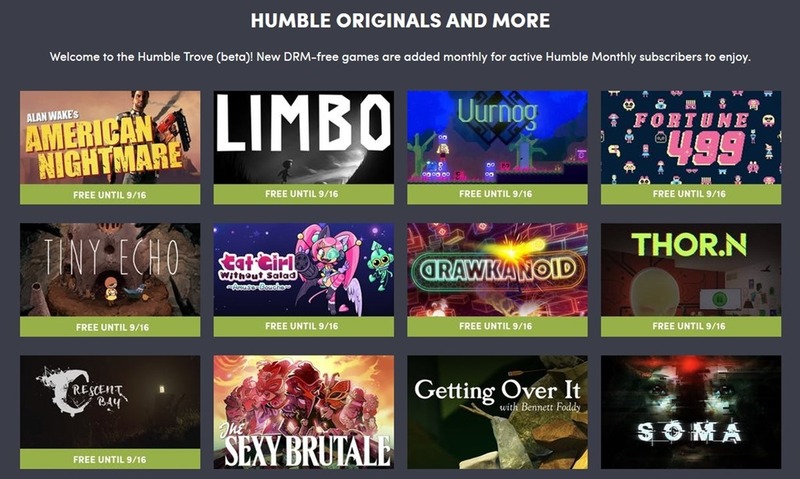 The Trove is only accessible to subscribers of the Humble Monthly Bundle, which costs $12 every month. 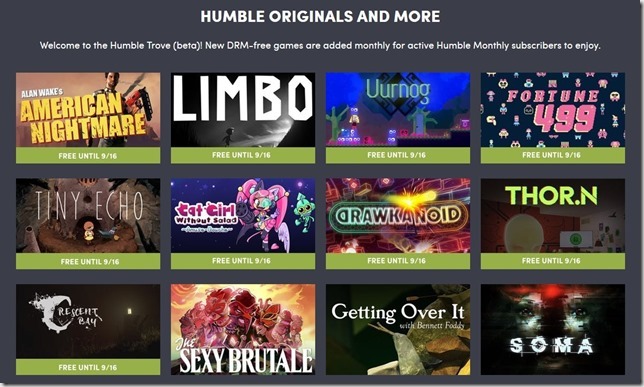 The Humble Monthly usually offers 5 or 6 games which may together cost hundreds of dollars. And the Trove adds more worth to that. But, temporarily, Humble Bundle is offering several Humble Treasure Trove free games, for all users. Basically, you don't have to pay $12 for downloading the games. These are the games which you can get for free. How to download the Humble Treasure Trove free games. 1. Visit the official Humble Trove page. 2. Sign in to your Humble account. Or create one for free. 3. All of the above mentioned games have banners on the page. Click on the game you want to download, and the installer for the same will be downloaded. 4. You can install the games whenever you want. It is worth noting that these are not Steam keys. You can directly download the games and install them, i.e. they are DRM-Free. The only issue is that you may not get any updates for the games. But I think none of the games are updated any longer, so you are good to go. I highly recommend Alan Wake and Limbo. The former is a third-person horror game, while the latter is a side-scrolling platformer game with horror elements. This promotion lasts until September 16th. Do remember to save a copy of the installers, because you may not be able to redownload them past the promo's expiry date. Is the Humble WB Games Classic Bundle worth buying? Let's tell you about the games.